I have a bit of a soft spot for the Diamond X-50N. 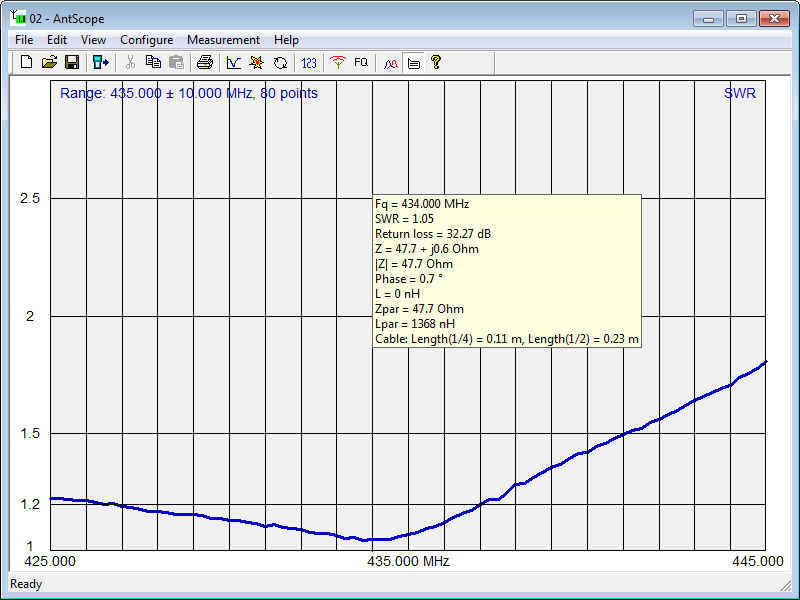 It is a fairly rugged vertical for 2m/70cm. Though I live in a rural setting, I resist the temptation of high gain antennas of this type as they tend to suffer fatigue problems resulting in noise in quick time, whereas the rigid one piece X-50 seems to last and last (I have another that must have had 25 years outdoor service). The X-50N is mounted on a telescopic steel mast at 11m at its base, and fed with 10m of LDF4-50A to the antenna entrance panel, and 2m of LMR-400 to the radio. 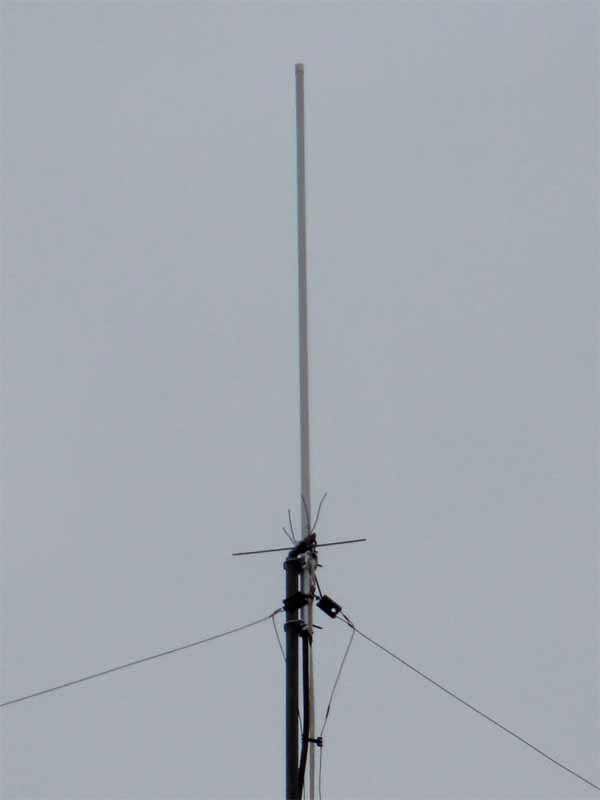 The XN50N has three short radials which are visible in the pic above, but somewhat obscured by a fan of four upwards pointing wires to discourage birds perching on the gibbert for the G5RV. 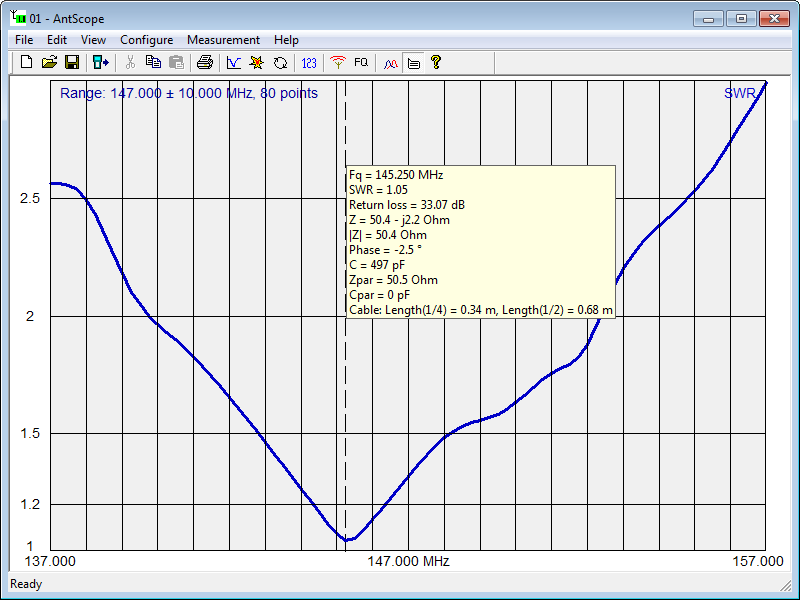 The antenna system was swept from the input end of the LDF4-50A to document a baseline for later diagnostic purposes. 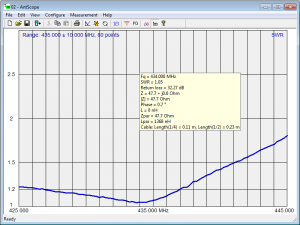 The following table documents expected line loss, antenna gain and overall system gain. The new antenna is about twice the height above ground of another X-50 mounted nearby and fed with 15m of RG-213. 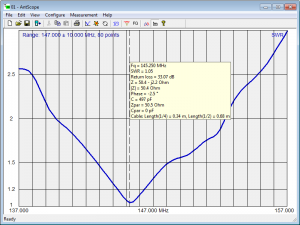 Understandably, the new antenna performs significantly better, though it is a bit of an oversimplification to allocate a dB improvement. The LDF4-50A feed line in my experience is less likely to be damaged by birds, and even if they pick a hole through the PE jacket and pierce the copper, the flooded dielectric prevents ingress and migration of water. In my experience, birds are more likely to sustain attack on PVC jackets than PE jackets, to the point that I have found that housing PVC jacketed cables inside ordinary PE irrigation tube usually prevents bird attack.